Leonard Cheshire VC is one of the most outstanding of all RAF Bomber Pilots. 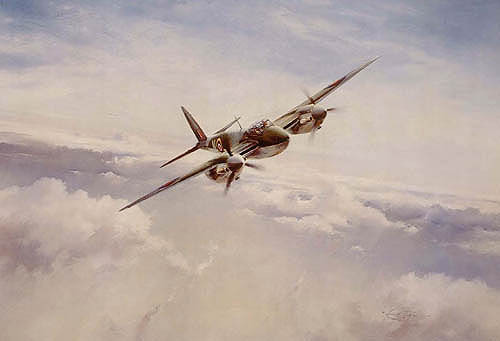 He devised the 'master bomber' technique - flying low over the target marking with flares, allowing the main force to pinpoint the target in the darkness. Cheshire flew over 100 operational missions and was awarded the Victoria Cross for his supreme courage.